Job Interview Questions: Answering "What's Your Greatest Weakness?" There are a lot of job interview questions that you have to be prepared for. This particular question tends to stump even the most experienced interviewee. 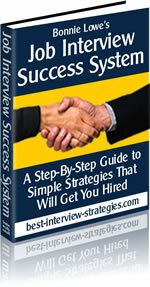 Many interview guides will tell you to answer the very common "What's your greatest weakness?" question with a positive trait disguised as a weakness. For example, "I tend to expect others to work as hard as I do," or "I'm a perfectionist." That would be a mistake. Why? Because interviewers have heard these canned answers over and over again. Or you're delusional and think you don't have any real weaknesses! So state a true weakness! No one is perfect, so don't try to convince anyone (especially yourself) that you don't have any weaknesses. However, I cannot overemphasize the importance of not listing a key element of the position as a weakness! If you do that, you might as well send yourself the rejection letter. Pick a neutral weakness about something that's not critical to the job. Mention that. Then emphasize what you've done to overcome the weakness. This shows that you are honest, that you recognize areas in which you need to grow, and that you are actively seeking ways to improve yourself. Choose something that is not a major flaw or negative characteristic - you don't want to shock the interviewer or make them think you are not a good candidate for the job. Most importantly, don't just say something negative about yourself and leave it at that - turn it into a positive! Describe how you were able to overcome this weakness and a positive way the situation turned out. Show that you have grown as a person, and how that slightly negative characteristic is now a positive attribute that you can bring to this new position. Whenever possible, use specific situations from your previous job to illustrate your point. This question really isn't so tricky, once you know what to expect and how to respond.